Novice Guide : How to play online bingo? When you’re ready to begin playing bingo online, you may feel like you’re not sure how to start. There are lots of resources with bingo rules, but these can get a bit confusing, as some sites play different versions to others. 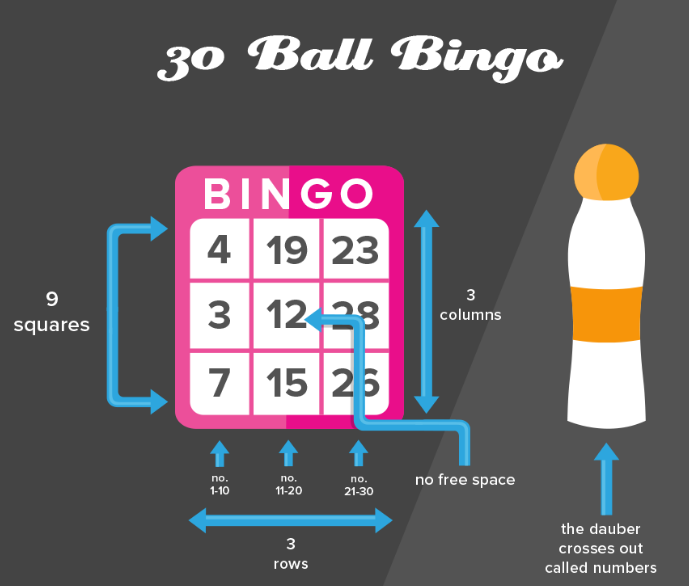 Here’s our no fuss guide on how to play different varieties of bingo games. 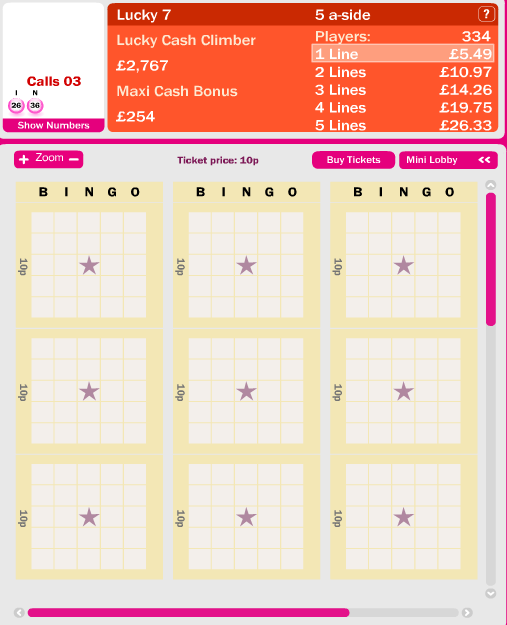 This is probably the most common type of online bingo games and one of the most popular too! In this type of game, you’ll be given a card with numbers in some spaces and blank spaces in others. As the caller reads out the numbers, you’ll dab them off in order to be awarded a Full House, 1 Line or 2 Line win. The Full House will require you to have all of your available numbers marked and the other two require you to have one or two lines completed. In 90 ball games, you’ll have a ticket that looks like the below that can be made up of lots of cards. 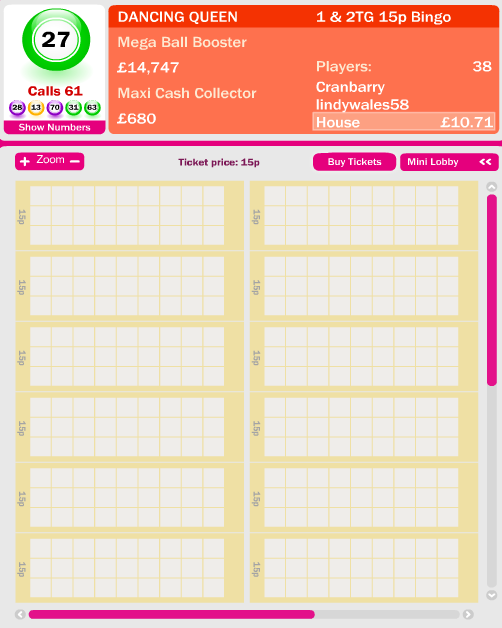 Playing 75 ball bingo is slightly different to 90 ball but you’ll still want to match up as many balls as possible. The grid in these games will be made up of 5 rows and 5 columns with a free space in the middle. To succeed in this game, you’ll either have to cover all of the numbers or do so in a set pattern set out by the site. For this reason, this type of bingo might sometimes be referred to as pattern bingo. You can still win a Full House on these games by covering the pattern, but there are often commiseration prizes too. 1TG and 2TG prizes are often given out to those who only need 1 or 2 numbers to complete their grid. These stand for 1 ‘to go’ as that’s all you are away from the jackpot. If you’re in a hurry then playing on Speed Bingo games can allow you to get into the lobby and bag a jackpot in a flash. This could also be referred to as 30 ball bingo on some bingo sites, but they’re the same thing. The grids in this game are much smaller, as they take up just 3 columns and 3 rows, which is what makes the game so fast. Matching up numbers and lines can take just 30 seconds in these games and tickets are often a bargain.